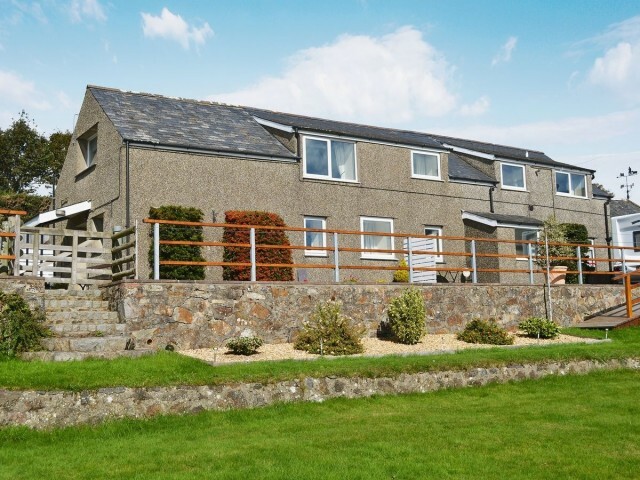 Only minutes from the beach, this family cottage is close to market town of Pwllheli, Snowdonia National Park easily reached.. Set in a peaceful location. This adjacent pair of holiday cottages having been converted from a stable block now offer very good and comfortable accommodation. In a peaceful location on a small holding on the outskirts of the village of Abererch, just 15 minutes from the beach.The market town of Pwllheli, with its leisure centre and excellent marina, is just 2 miles away, and the beautiful Lleyn Peninsula, Heritage coast of Sandy Bays and Rocky Headlands are all within easy reach.The Snowdonia National Park is a pleasant drive with its unique variety of attractions. Other facilities such as sailing, horse riding, fishing, go-karting and golf all available nearby. Shop and pub 2 miles.. Ground floor: 2 bedrooms: 1 double, 1 single. Bathroom with shower over bath and toilet. First floor: Living room. Dining room/kitchen. 1 twin bedroom.. Gas central heating, electricity and bed linen included. Cot. High chair. Video. DVD. Electric cooker. Microwave. Washing machine. Fridge/freezer. Wi-fi. Garden and picnic benches. Ample parking (cars and boats). No smoking.